Mahdi Fattahi has announced the availability of the beta release of AriOS 4.0, an Ubuntu-based distribution featuring a heavily modified GNOME 3 desktop and many additional software applications: "I'm very happy to announce AriOS 4.0 beta, based on the upcoming long-term support (LTS) version of Ubuntu. Although both Ubuntu 12.04 and AriOS are in beta, I consider this release a very stable and robust system, as Canonical has done a great job on making 'Precise' stable and bug-free. AriOS comes with the latest updates from the 'Precise' development branch up to March 26, 2012. In this release we offer a great array of the latest and greatest free desktop environments. Like before, AriOS comes with its own proven desktop layout, based on GNOME 3 and the awesome Avant Window Navigator. 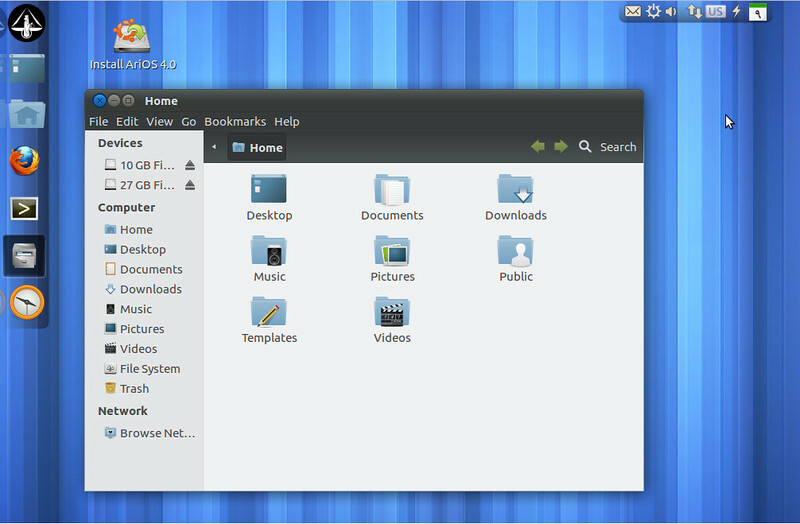 Also available are the latest versions of Unity, GNOME Shell, Unity 2D and GNOME classic." Read the remainder of the release announcement information about included applications and a screenshot. No Comment to " AriOS 4.0 beta has been released (Based on Ubuntu) "